Take the opportunity to support a unique piece of skateboarding history – sponsor one of 14 remaining frames of the legendary original big transition ramp. 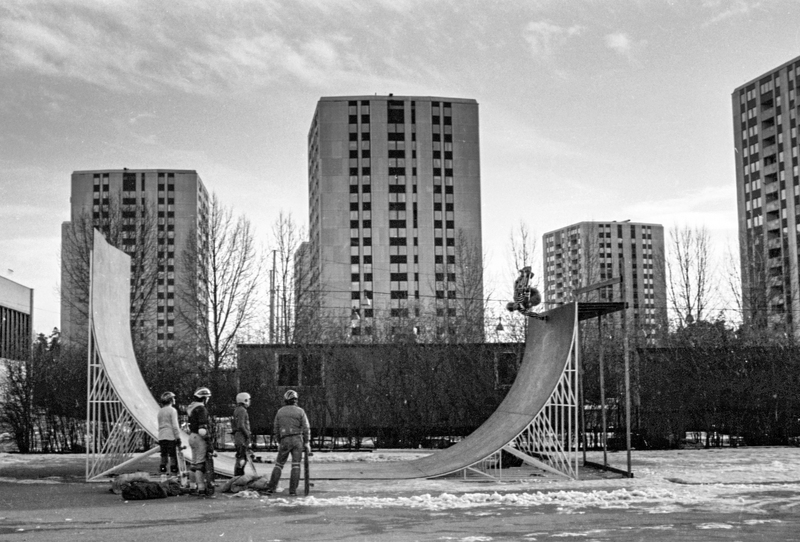 The ramp that gave birth to the Mctwist in 1984, the 720, the eggdrecht, the stalefish airs and much more. 13 of the 14 frames are still available for avid fans to sponsor. Mike Mcgill has already called dibs on the first. Sponsoring each frame is priced at $1,000. The frames will be used to reconstruct the original 12” transition ramp used in events and at camps throughout Sweden in the 80s. All funds generated will be used to rebuild it for the events in 2018 and in the future and will make sure this and future generations will be able to skate it. Sponsoring one of the frames will give you a certificate as well as a metal plaque on that frame with your name. All contributions are of course welcome and everyone helping out will get their names on a plaque mounted on the ramp with a list of all sponsors. 1984 – Swedish Summer Camp, Hägernäs, with Claus Grabke, Lance Mountain and Mike Mcgill. The first Mctwists are landed by Mike. 1985 – Swedish Summer Camp, Hägernäs, with Lance Mountain and Tony Hawk. Tony invents the 720, backside and frontside stalefish airs while Slappo invents the Eggdrecht. 1987 – Täby and the European Championships with Nicky Guerrero as winner of vert.